We love our crepes just as much as the next person, but traditional recipes are full of carbs and lacking protein. For mouthwatering crepes that won’t leave you hungry within an hour of eating them, you have to make these delicious vanilla protein crepes. 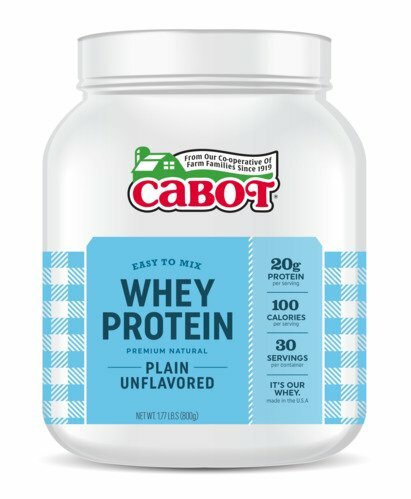 Vanilla extract and Cabot Lowfat Vanilla Bean Greek Yogurt give these crepes a lovely flavor and Cabot Whey Protein Powder provides a great boost of protein. Topped with your favorite fresh fruit, these vanilla crepes are perfect to serve for a special weekend brunch or as a weekday morning treat. Make them and share the recipe with family and friends on Facebook, Pinterest, Instagram, and Twitter. 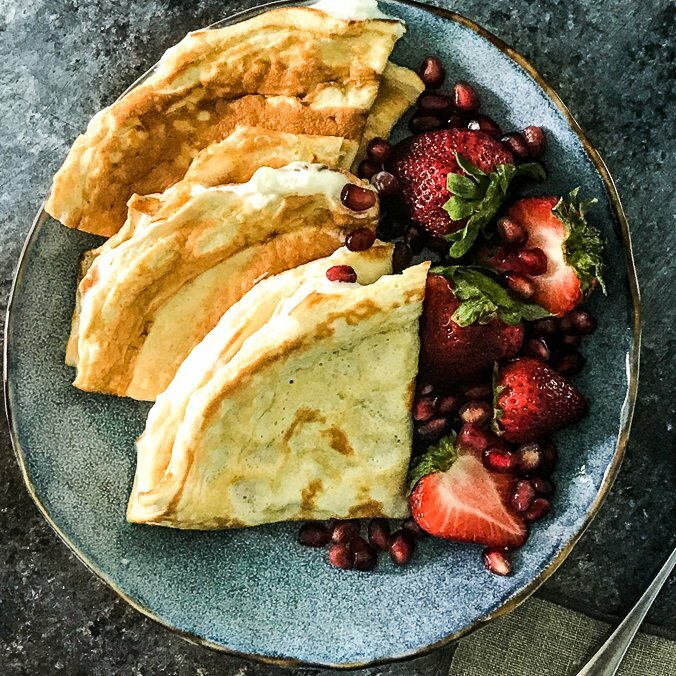 To make these protein crepes, whisk the liquid egg whites, Cabot Whey Protein Powder, vanilla extract, sugar and salt together in a bowl, making sure to break up any clumps of protein powder. Heat a small, lightly oiled pan over medium high heat. Pour ¼ cup of the batter into pan, tilting pan with a circular motion so that the batter evenly coats the surface. Cook each crepe for about 2 minutes or until the bottom is light brown. Loosen with a spatula, turn and cook the other side. 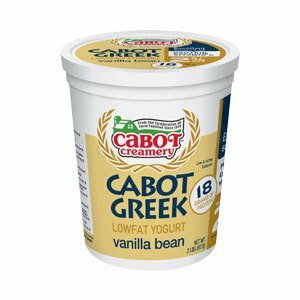 Serve warm, filled with Cabot Lowfat Vanilla Bean Greek Yogurt (use about 2 tablespoons per crepe) and top with fresh fruit of choice. We love these with strawberries, raspberries or blueberries! Can’t get enough crepes? Then you’ll have to make some for dessert! Try our Dessert Fruit Crepes with Cabot Vanilla Bean Greek Yogurt next! Cabot is a co-operative of over 800 farm families, bringing many years of experience to make only the best products for you and your family. We’d love to hear your feedback on this vanilla crepe recipe, so please rate and review it when you have the chance! WHISK all ingredients together making sure to break up any protein powder clumps. HEAT a small lightly oiled pan over medium high heat. Pour ¼ cup batter into pan, tilting pan with a circular motion so that the batter coats the surface evenly. COOK crepe for about 2 minutes or until the bottom is light brown. Loosen with a spatula, turn and cook the other side. Serve warm filled with Lowfat Vanilla Bean Greek Yogurt (use about 2 tablespoons per crepe) and top with fresh fruit.